A special case study about a unique Handshake use case, The Little Bit Foundation is a nonprofit that uses Handshake to distribute much-needed supplies to disadvantaged children. Based in St. Louis, Missouri, Little Bit is a remarkable, mission-based organization that addresses the comprehensive needs of children across 29 local schools, from shoes, coats, and school uniforms to nutritious meals and medical screenings. The distribution arm of the organization procures purchased goods and receives in-kind donations that are distributed to children at schools. With free Handshake licenses for their volunteers and staff, orders are placed for new supplies each week, and the ordering process is so streamlined that Little Bit has been able to adopt more schools and help more students. 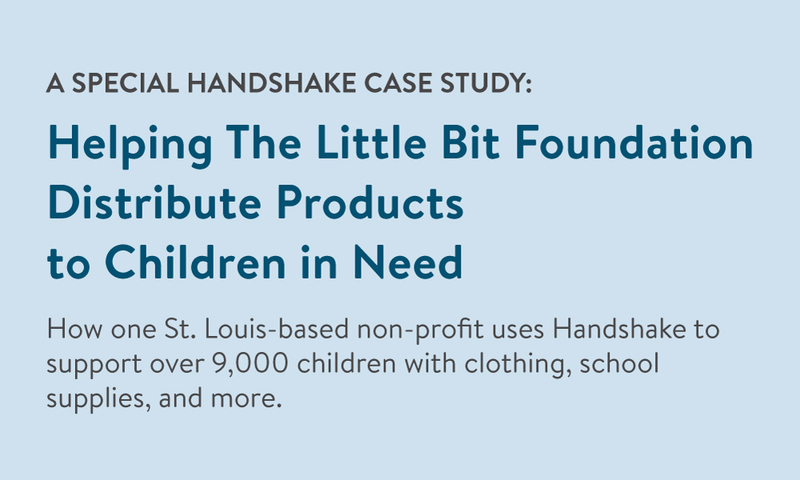 How The Little Bit Foundation is able to distribute thousands of items to children across 29 St. Louis schools using their pro-bono Handshake subscription. Why automating the ordering process was key to expanding reach, adopting more schools, and helping more children in the process. For more about Little Bit Foundation (including how to get involved! 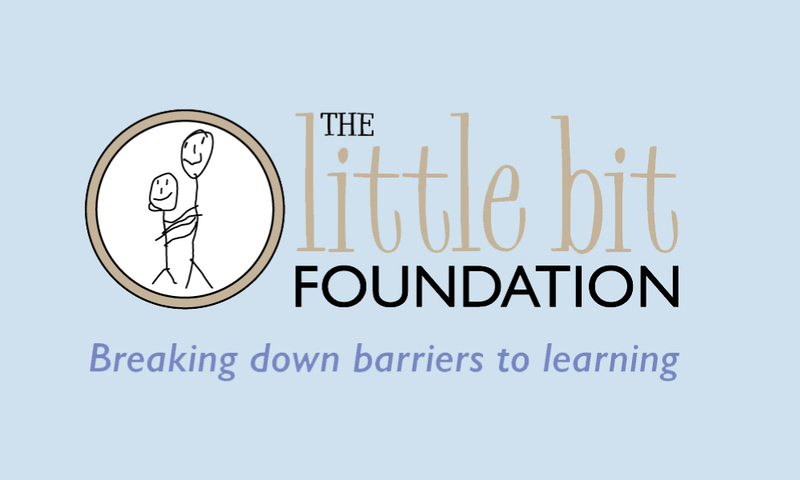 ), visit www.thelittlebitfoundation.org.